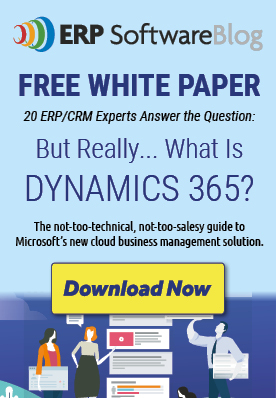 September 15, 2016 by iCepts Technology Group, Inc.
Microsoft Dynamics NAV 2016 has been released with many new features in Enterprise Functionality for Small to Mid Sized Wholesale Distribution and Manufacturing companies and is quick to deploy, easy to use, and has the power to support the growth ambitions of SMBs worldwide. Some of the most exciting new functions are workflows and document templates. Below are descriptions of the workflows and document templates functionality within Microsoft Dynamics NAV 2016. Workflow Templates: Increase your productivity with more than 20 powerful out-of-the-box workflow templates that facilitate sales and purchase approvals, create notifications for someone to take action, or help handle incoming documents. In just a few clicks, you can set up workflows to connect your business process to industry standards. exchange services software (require partner customization). Currency Exchange Rates: Update currency exchange rates using third-party web services that deliver exchange rates as XML files or streams. Updates can be performed manually or automatically using the job queue functionality. Yahoo and European Central Bank (ECB) currency feeds are supported out of the box, and other currency services can be added mapping the data in the feed into the currency exchange rates setup, a task that can be done in the end user client without developer permissions. Document Management: Take advantage of new cloud business services to manage incoming documents in Dynamics NAV 2016. Optimize document handling by adding automatic processing—saving you time, and facilitating backup and storage. You can capture, archive, and easily find incoming documents using a cloud-based document capture service and you can create purchase invoices or general journal line drafts automatically—removing the need to manually retype data. Optical Character Recognition (OCR): OCR integration enables you to extract unstructured PDFs or scanned invoices or credit memos into structured data, allowing further automatic processing similar to electronic documents. This service is available at no additional cost for the first 75 invoice transactions per month. Incoming Document Workflow: Add workflows to automatically process any incoming electronic document, e.g., send and receive documents to/from OCR automatically, create draft purchase document, post draft document, or create payment lines for posted documents and more. 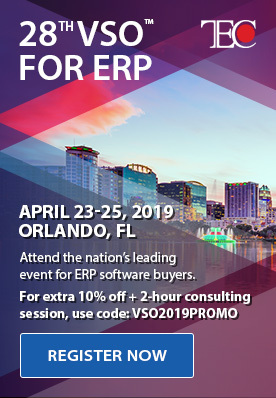 What is Microsoft Navision ERP?